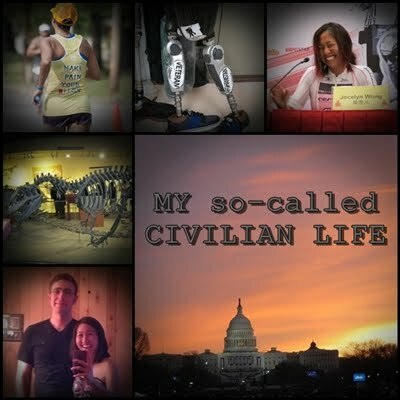 My so-called CIVILIAN LIFE: a 5K race report! 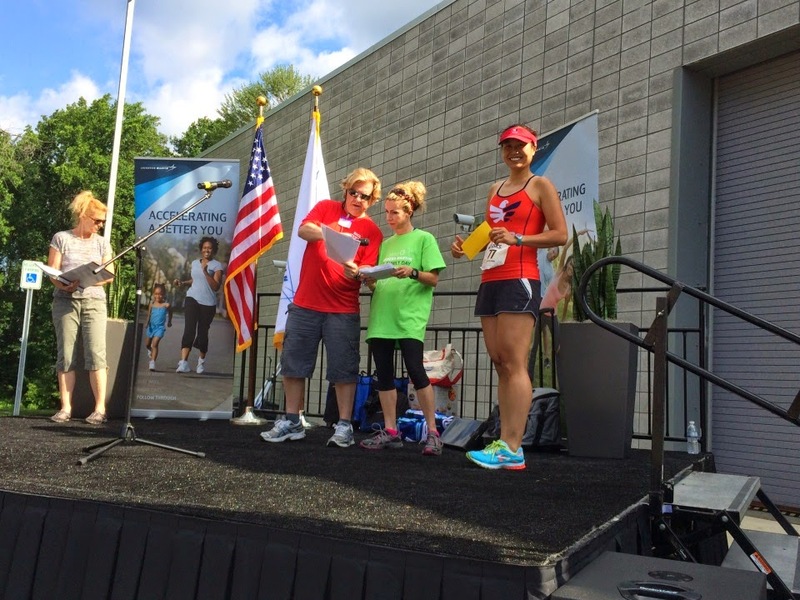 Lockheed Martin 5k champion! 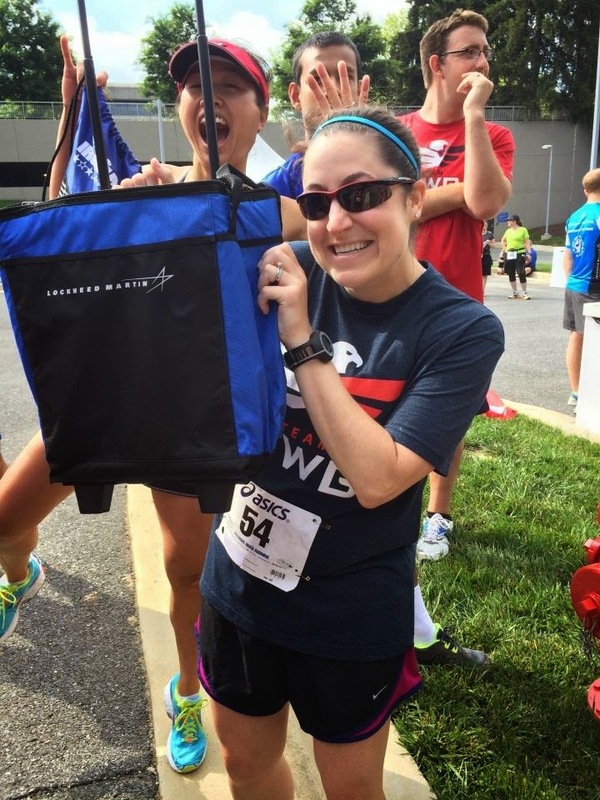 So I'm writing a 5K race report because (SPOILER ALERT!) I won! 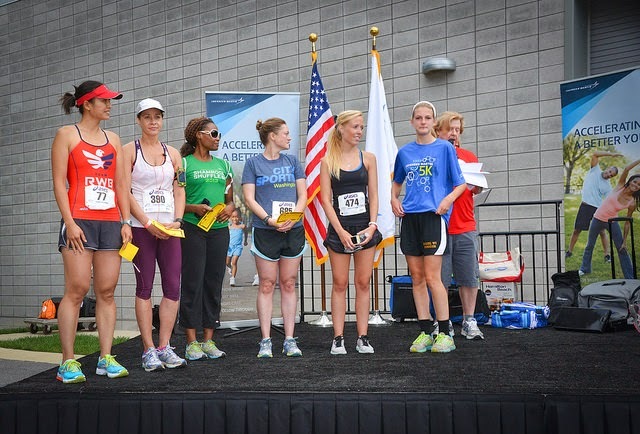 I have never won a 5k before so I thought it was pretty exciting. 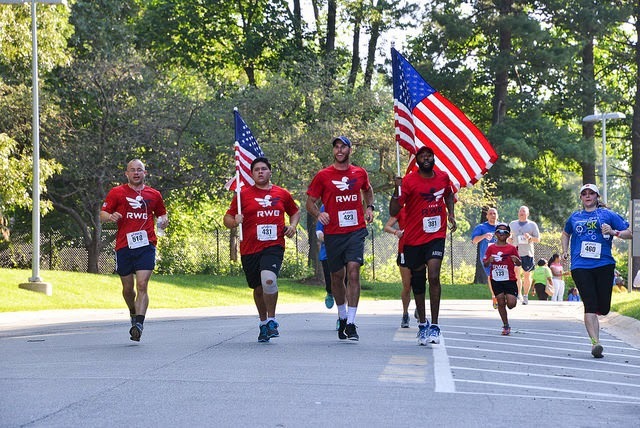 It was the Lockheed Martin 5k benefitting Team RWB. 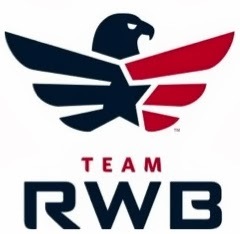 Since Kevin actually works at their headquarters and we are both RWB'ers, it was a no-brainer. 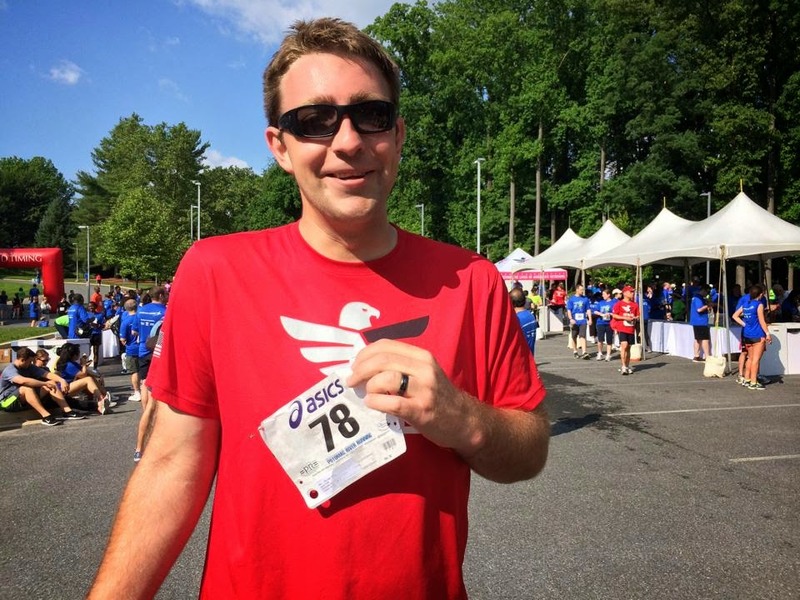 My goal was to break 20 minutes, because I haven't ever done that before and it sounds fast. Mile 1: 6:20. HOLY CRAP! I didn't even know I could go that fast! I can barely run 800's on the track at 3:20 pace and when I do hit 3:20 it feels CRAZY FAST! This is either going to be very horrible...or SUPER AWESOME! Mile 2: 7:20. Oops. Definitely in trouble. But I had passed the first woman during the first mile...so...JUST HOLD ON!!! Mile 3: 7:03. JUST HOLD ON! I'm so stupid, why did I go out so fast?! Total time: 21:30. Dammit, that is so not close to breaking 20 minutes! (It's actually a 6:56 average mile pace, even though I only broke a 7-minute mile on the first one...) And why couldn't I catch up to the guy wearing the Charlie Brown striped shirt and basketball shorts?! But...I won! And it might even be a PR, because I run 5K's so rarely that I don't even know what my PR is. I'd like to think I broke 20 minutes once upon a time when I was a scrawny pre-pubescent high schooler, but I don't think that's the case because our cross country races were always weird distances from 2.2 miles to 2.95. And I got fat in college, so my two years of college XC 5K's were definitely over 22-23 minutes. 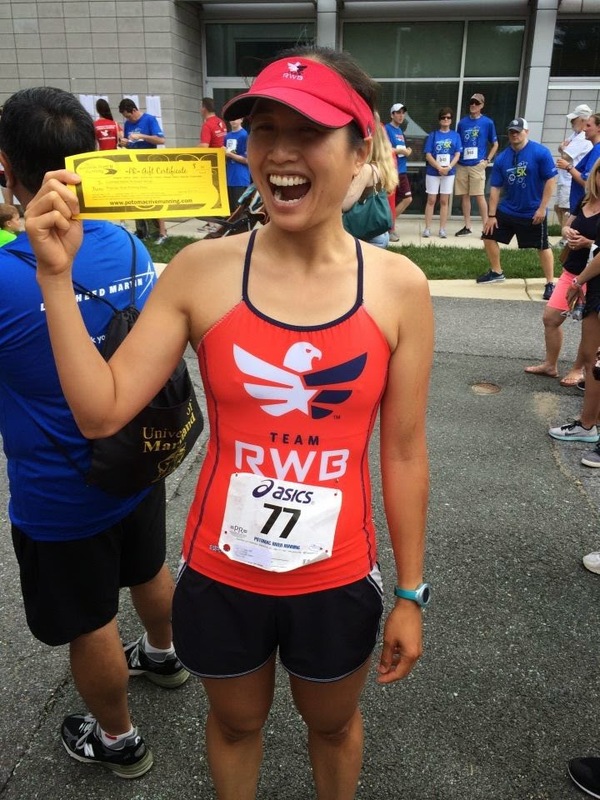 Speaking of PR's, I won $50 to the Potomac River Running store (aka "PR") for winning the women's division! I didn't expect to win anything, so obviously I was VERY EXCITED. 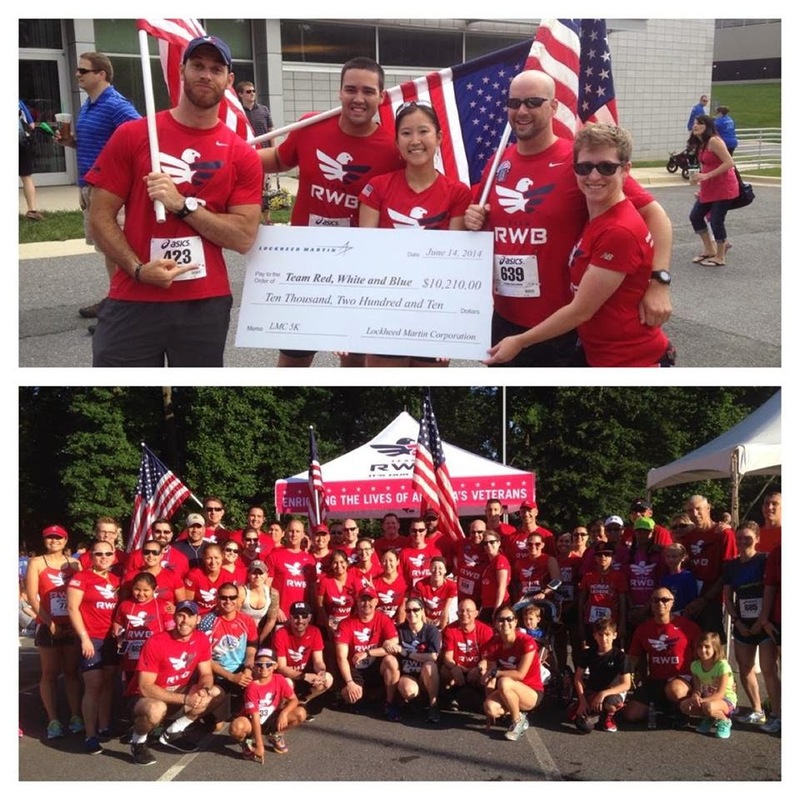 Most exciting of all, Lockheed Martin gave Team RWB over $10,000! WOW! Thanks Lockheed!! It was Flag Day too, so we were running the flags up and down the finish chute to anyone that wanted to cross the line with it! And then our friend Kerry won a cooler on rolly wheels, which would be more exciting if she didn't have to wait for her baby to pop out to put it to good use. It was the most exciting day ever! 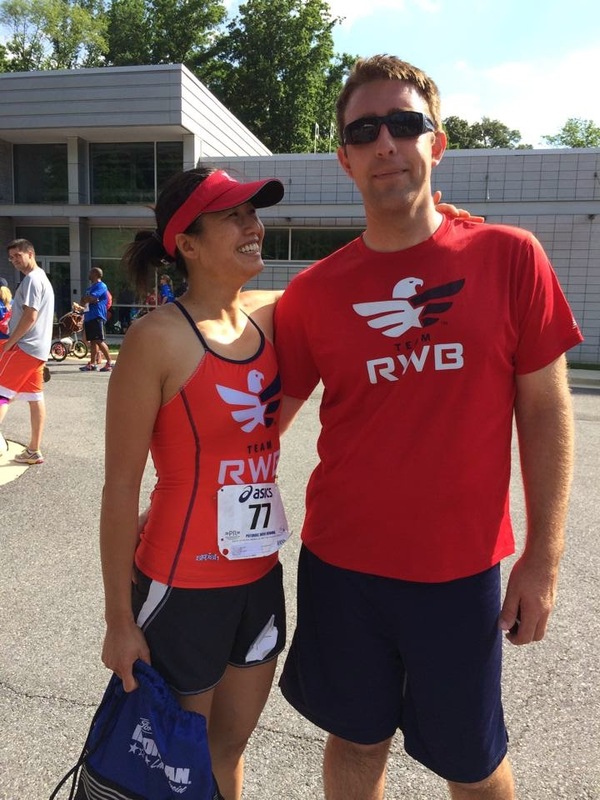 Later that day I drove to Williamsburg to spectate the Rev3 race, and had the most exciting reunion with one of my old teamTBB friends. TO BE CONTINUED! !